Like popping the finest of champagne, guests will love these information cards with bubbling frame in shimmering foil that turns your event details into a celebration! 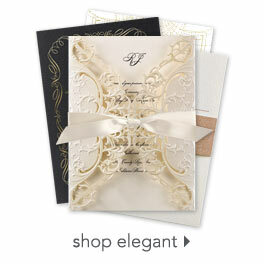 The word "details" appears in letterpress print at the top for an incredibly elegant touch. You can choose different wording to replace "details" if you wish.